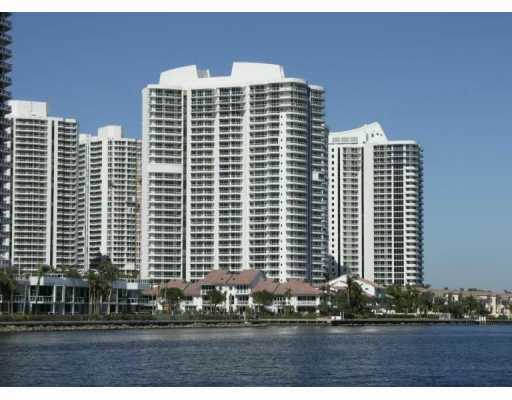 Atlantic I at The Point is one of three buildings comprising a waterfront condo community located to the east of the city of Aventura. Designed by acclaimed architect Robert Swedroe, it rises 29 stories and has stunning vistas of the Intracoastal as well as the Aventura cityscape. The Aventura condos for sale of Atlantic I at The Point may be a good choice for families since the smallest units have 893 square feet of living area and include a pair of bedrooms. Larger units have up to four bedrooms and 4,171 square feet of living area. All units have plenty of modern features and you'll find even more near or throughout the community like four tennis courts, a game and tea room, a beautiful waterfront promenade stretching for an entire floor, a spa and much more. Atlantic I at The Point is also one of the few condominiums that is pet friendly. Aventura Mall is one South Florida's most popular shopping centers and it's just moments from Atlantic I at The Point. Turnberry Isle has condominiums but is also home to a whole resort packed with various activities. Sunny Isles Beach and Hallandale Beach are both near Atlantic I at The Point and so is the city of Hollywood in Broward County.